A calligrapher spells out personal details in a genteel script in black ink. 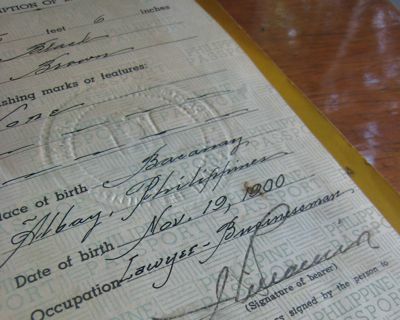 And my grandfathers name seems to flow on the pages of this document. 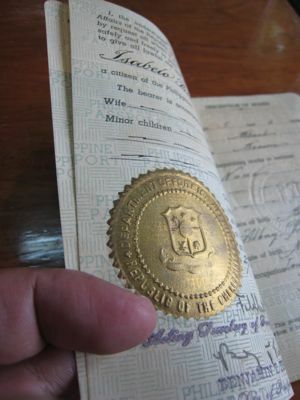 His occupation, listed as Lawyer-Businessman never looked so appealing as it did in this passport and his signature, done using one of his classic fountain pens, is appropriately elegant, and bizarrely, a bit similar to my own signature today, though mine is sharper and somewhat more harried, with less rounded corners. 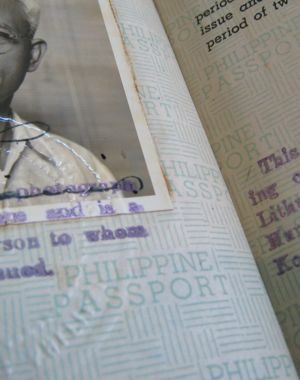 An embossed gold seal and various signatures of Department of Foreign Affairs officials makes the document seem more legitimate and the black and white photo of Lolo is simply stuck onto one of the pages with glue, albeit GOOD glue, as it remains firmly attached to the passport, some 50+ years after it was issued. No lamination or other safety features are in place. 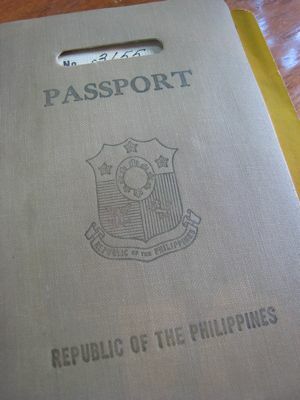 But then again, with just 3155 passports issued that year(?) or in that series, I suspect it didn’t seem necessary at all.